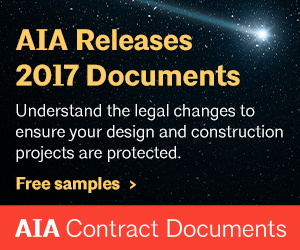 The AIA is actively engaged in furthering and supporting multiple initiatives and goals that value equity, diversity, and inclusion for people of all backgrounds. The Architects League of Northern New Jersey feels that a diversified membership that respects and celebrates our differences will make for the strongest profession and ensure our organization’s sustainability as we grow and meet new challenges. We embrace and encourage a diversified membership that participates and engages in all our activities. View our local look at Diversity and Inclusion in the ALNNJ here. Diversity creates innovation, and different perspectives make for a stronger profession and a better world. Yet, industry data shows that minorities are still underrepresented in the architecture profession. The Architects Foundation created the Diversity Advancement Scholarship to help address this gap and give more students the chance to pursue a successful architecture career. The AIA Women in Architecture Toolkit was developed to assist groups of women and / or components who want to foster an environment in which women architects can succeed. The toolkit purpose is to provide a guideline from which ideas can be used and or expanded to fit a range of needs and interests. The mission of the AIA Small Firm Exchange is to advance the mutual interests of architects practicing in small firms. Objectives of the AIA Small Firm Exchange are three-fold. The Custom Residential Architects Network (CRAN) Knowledge Community develops knowledge and information to benefit architects who are engaged in, or who are interested in learning more about, custom residential practice. CRAN presents information and facilitates the exchange of knowledge and expertise to promote the professional development of its members via discussion forums, national symposia and conventions, publications, and local activities. Posted in For the public, Membership on February 20, 2018 by idler50.